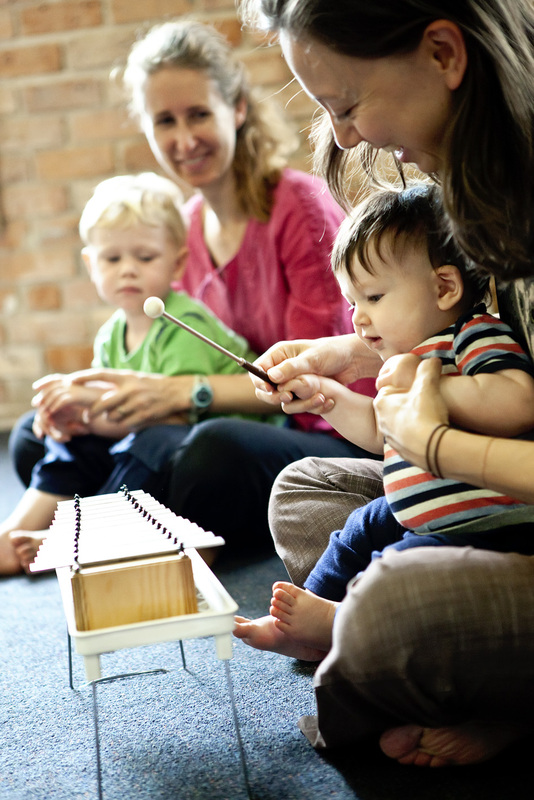 Enjoying the benefits of a mixed age group, babies and toddlers attend each week with a parent, grandparent or carer and grow in a musical environment that is calm, respectful, encouraging and free from the pressure to perform. Sensitive to different developmental stages, we take the time to wait for each child to be ready and particpate in their own way as we understand that much learning occurs through observation. Classes are carefully structured to maximise engagement, focus and enjoyment. Children love repetition, so we keep our classes very similar week to week, alternating two sets of songs so children develop a sense of understanding and safety from the regular structure of class. Classes last for 50-60 minutes. As a special gift for visitors to our website we are delighted to invite you to come for a Free Trial Class to experience The Music Garden for yourselves. Just click on Free Trial Class to find out more.